This Web site from the Science Museum of Minnesota offers a fun and interactive way to learn about the structure and function of the body's tissues. While some activities provided are designed to complement an on-site visit to the Tissues of Life exhibit, the Web site also includes many stand-alone Web-based features. For example, with Explore Body Tissues, students can take a look at cross-sections of actual human bodies, browse through a gallery of scar photos (and perhaps add a photo of their own! ), explore parts of the human body at 30X actual size, or play a game while learning about the different cells involved in wound healing. 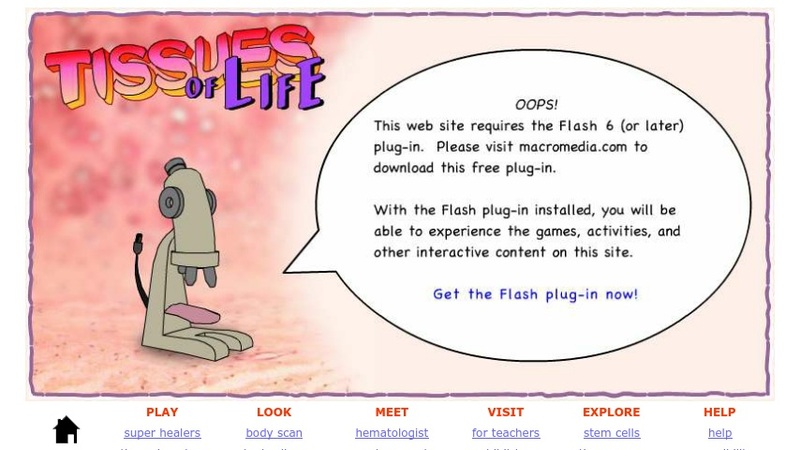 Tissues of Life does not include Web-based lesson plans, but this engaging Web site would be a great addition to related classroom activities for a range of grade levels.